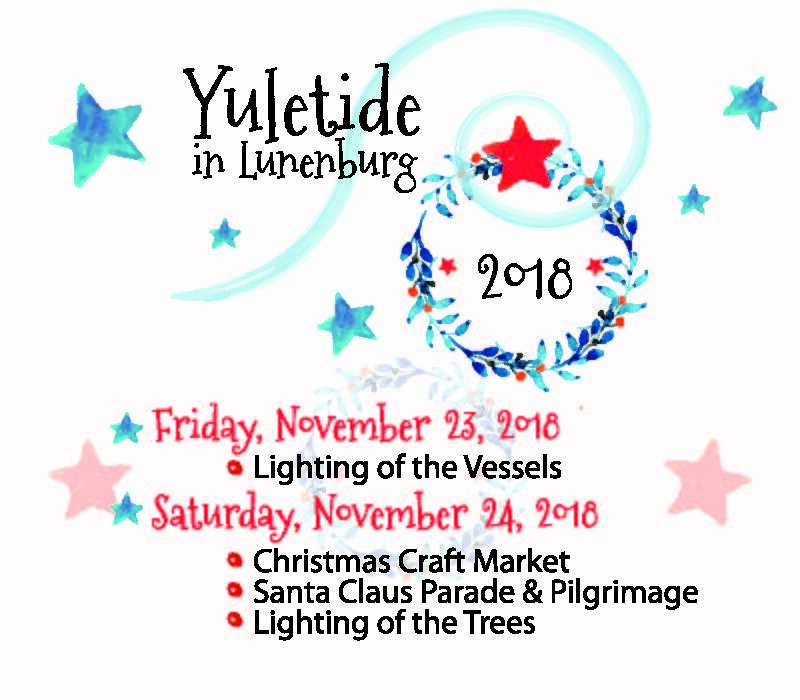 Yuletide in Lunenburg starts with – The Lighting of the Vessels at the Lunenburg Waterfront – Friday November 23rd. To celebrate Christmas in style we will have a spectacular fireworks display at the waterfront 7:30pm. Come and enjoy the fun! The Christmas magic in Lunenburg starts with the Lighting of the Vessels 6:30 pm at the Lunenburg waterfront. See the waterfront sparkle and shine with the Christmas spirit and a fireworks display starting at 7:30pm. The Fisheries Museum is open with activities and sights for the whole family to share. Check our events calendar to see the entire program filled with Christmas goodies and fun for all ages. Local restaurants serve hot treats between 6 & 9pm adjacent to the Museum where carol singers fill the air with songs for everyone to join in. Take a stroll to the nearby shops and rest a while in one of our many restaurants before you set off again. At 7:00pm we have the spectacular ‘Lighting of the Trees’ – well we are the Christmas tree capital of the world after all. 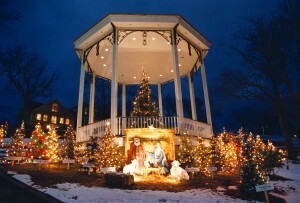 See the hill at the bandstand light up with 100 Christmas trees. There will be cider, treats and carols. The shops will be brimming with festival cheer and everyone is invited!